Creating a Sustainable Museum: The Eden Woolley House ~ The History Girl! Not every old home can become a house museum. In the early years of the modern preservation movement (1960s and 1970s), establishing a house museum in your local community was the right thing to do. Prior to this period, only a few old homes and structures had been preserved as museums due to their association with a significant figure in history or an event. As the number of historic house museums have grown, attendance has fallen drastically across the country over the past ten years. Museums and historic sites have had to regroup and explore refining or expanding their purpose, change their philosophies or missions, and incorporating technology and interactivity into exhibits to attract and retain younger audiences. The Eden Woolley House, located in Ocean Township, New Jersey, is a relatively new historic site. Although the organization was founded in 1984, it wasn't until 2009 that they had a permanent home. However, this home is not a static house museum but rather an engaging and somewhat interactive site that utilizes artifacts and technology to tell the story of Ocean Township and the Woolley family through changing exhibits that are geared toward children and adults alike. In 1667, Emmanuel Woolley of Rhode Island purchased shares of land in Monmouth County. 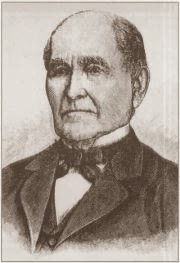 Although he never settled in New Jersey, his sons established homesteads in what was then known as the Poplar section of Shrewsbury Township. Other early settlers included the Drummond and Potter families. These early families were of generally Baptist or Quaker affiliation. The area of Wanamassa in present-day Ocean Township was purchased by Scottish surveyor Gavin Drummond in 1687 from a local Lenape tribe. His purchase also included the areas of what is now Interlaken and West Allenhurst. The Village of Oakhurst (originally Bennet Town) and Wayside (originally Centreville) were established in the early 1800s along stagecoach routes. Each area had its own taverns, mills, general stores, and blacksmith shops. Numerous branches of the Woolley family built homes and played an active role in these early villages, but the Eden Woolley House is the only surviving Woolley house in Ocean Township. It was constructed in three major phases. Circa 1747, a one and a half story structure (the east, or left end, of the current house) was built by Thomas Woolley for his family. Similar to other early homes built in New Jersey during this period, it would have consisted of a large keeping room with an open hearth, a half-story sleeping loft upstairs, and a lean-to at its rear. In 1835, Eden Woolley purchased the farm from his cousin. Eden Woolley was born March 5, 1805 to Elizabeth Tucker and Jacob Woolley. He married Elizabeth Tilton on October 10, 1835. To accommodate his family and reflect the trend of building bigger homes, he enlarged the house in the Greek Revival style. This large addition was built to the west of the original section and was five bays wide with a center hall and a double-pile room layout for entertaining and dining on each side of the hall. Spacious bedrooms filled the second floor and afforded the family privacy. In 1849, Ocean Township became a separate municipality. Eden Woolley was one of five men elected to the township’s first governing body, further securing a prominent place in the community. Elizabeth died February 22, 1891 and Eden died November 17, 1892 in Ocean Township. The house remained in the Woolley family until 1926, when it was sold to Sanders Wertheim for $35,000. In 1939 the property and home became the estate of the William Henderson family. The property, which was mainly a farm for the past 150 years, was transformed into an estate with manicured lawns, landscaping, and tennis courts. During the Henderson's ownership, the final addition to the house was built. The walls around the first floor of the original section of the house were built out, allowing for a modern kitchen in the 1920s. Dormers were built on the second floor, expanding the height of the rooms above the original 1747 section of the house. The Hendersons also made numerous improvements to the house, essentially restoring it in a revival style to reflect what it may have looked like during Woolley's early years of ownership. Moving the Eden Woolley House, 2005. Photo courtesy: The Township of Ocean Historical Museum. The home was originally located at the corner of Deal Road and Route 35. In 1999, the home was acquired by Ocean Township. The property that it was located on had been sold for the construction of a Stop & Shop supermarket and strip mall. As part of the agreement with the developer, the Township of Ocean would take ownership of the house and the developer would move it at no cost to taxpayers. Concurrently, plans were developed to build a new township library on land adjacent to the Eden Woolley House on what was then referred to as the Haupt/Terner tract. The library would incorporate the turn-of-the-century Terner mansion into its design. In order to create a true cultural center for the community, it was decided that the Eden Woolley House would be moved and placed on a new foundation in front of the library. After a number of years of raising funds for the move and its eventual restoration, the house was moved 1,100 feet to its new address on Deal Road in 2005. In order to move it, a temporary roadway, approximately fifty feet wide, was built through the woods, parallel to Deal Road. This move did not require the raising and lowering of electric lines. Once at its new site, members of the Township of Ocean Historical Museum began a major overhaul of the home, which had suffered from the passage of time and neglect. Volunteers contributed their time to rewire the home, repair plaster, replace rotting clapboards, repair windows, and prepare the home for its debut at the Township's new museum. After approximately four years of work, the home opened to the public July 5, 2009. The 1747 portion of the Eden Woolley House. The restored home offers three major exhibition areas on the first floor and office, storage, and library space on the second. Galleries on the first floor provide space for changing exhibits, an exhibit on the history of Ocean Township, and an exhibit in the oldest section of the house which illustrates the history of the Woolley family, including domestic artifacts from the nineteenth and early twentieth centuries. The exhibit spaces utilize artifacts that can be handled by visitors and incorporate technology via large screen televisions with photos and descriptions related to the exhibits. This approach to presenting history allows visitors to interact with artifacts rather than see them behind a velvet rope or under glass. By having an exhibit space that constantly changes gives visitors a reason to return to the museum. Using this model, the Township of Ocean Historical Museum has been successful in attracting visitors who stop in a few times a year to see what's new. This innovative approach to interpretation will ensure the museum's continued success well into the future as a sustainable and educational community resource.